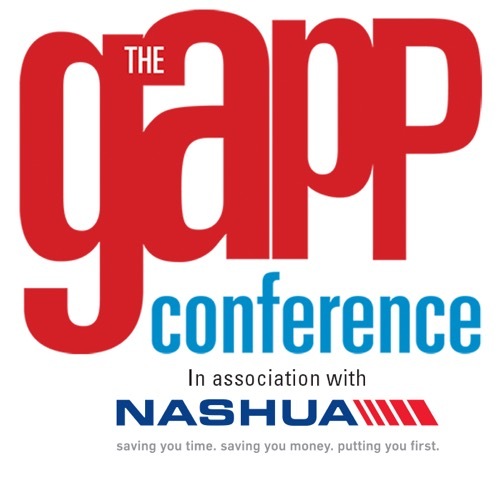 The GAPP Conference, a printing, packaging and signage conference taking place at Nasrec on 16 March 2016, will be held In Association with Nashua. The Conference, which features leading business, political and industry commentators and speakers will be held in conjunction with The GAPP Print Expo trade show taking place at Nasrec from 15 to 18 March as part of the Propak Africa show. The GAPP Conference will be held in the Black Eagle Room at Nasrec and will include tea breaks, lunch and the opportunity to interact with speakers. Proceedings for the day will be managed by the Master of Ceremonies Derek Watts, award-winning journalist and anchor of MNET’s Carte Blanche. He will be joined by Justice Malala who will outline the political state of the country and what we can expect in the run-up to the elections scheduled for next year. Alec Hogg will give an overview of the economic climate in the country and where South Africa finds itself as part of the world economy. For more information on The GAPP Conference, how to become a sponsor or to reserve your seat visit www.sentientevents.co.za or contact Sentient Events on 011 475 5095.